A while back I was on the lookout for a new gel liner, as the ones I had had all dried out on me. I normally use liquid liner, however I really like the matte finish of gel liners, especially when paired with certain smokey looks. 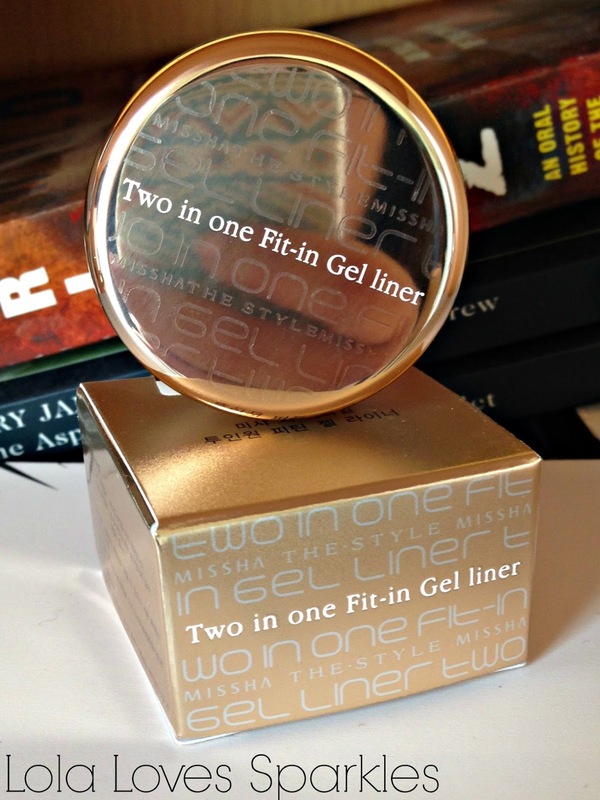 The one I got was this Missha The Style Two in One Fit-In Gel Liner, which I bought from HERE. This one caught my eye because I have never seen a gel liner with two compartments. 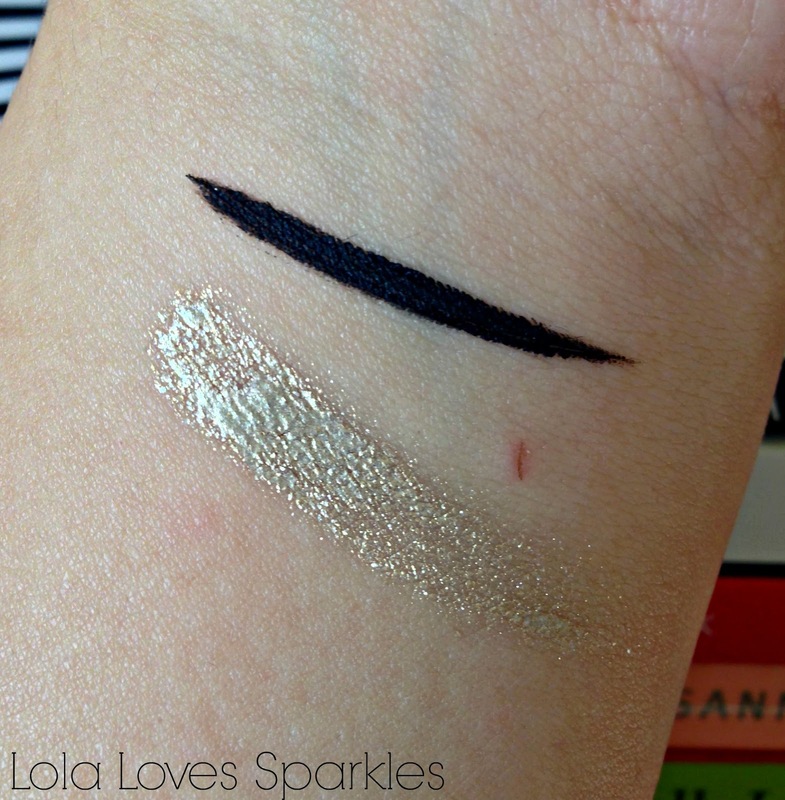 The product's description claimed that the black [in my case] part was the gel liner, while the gold part was an under shadow. Apparently, this Missha liner contains three types of oils: Macadamia Nut Oil, Grapevine Seed Oil, and Moroheiya Oil - which help keep the skin soft and supple. 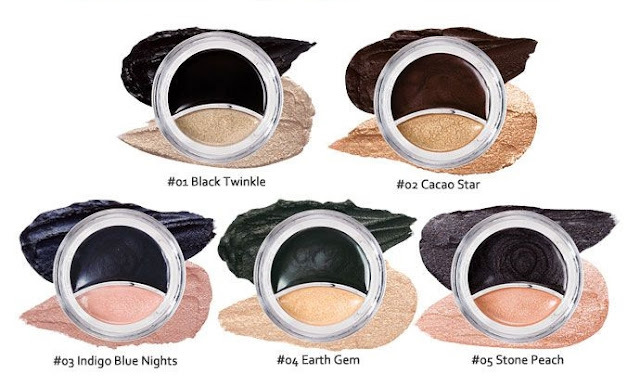 The product is picked up really easily and is super soft - this one glides effortlessly on your lids without the need to pull and tug at your skin. 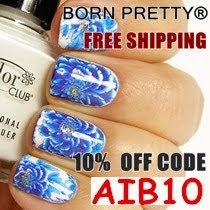 It also dries super quickly, so no risk of smudging there. It is also super pigmented, so there is no need to go over the liner more than once. I have found that I apply this liner much more quicker than when I use a liquid liner, especially with the help of the Mac brush, which helps me create a wing in no time at all. As you will see in a minute, this liner also stands the water and rubbing test, so two thumbs up there! 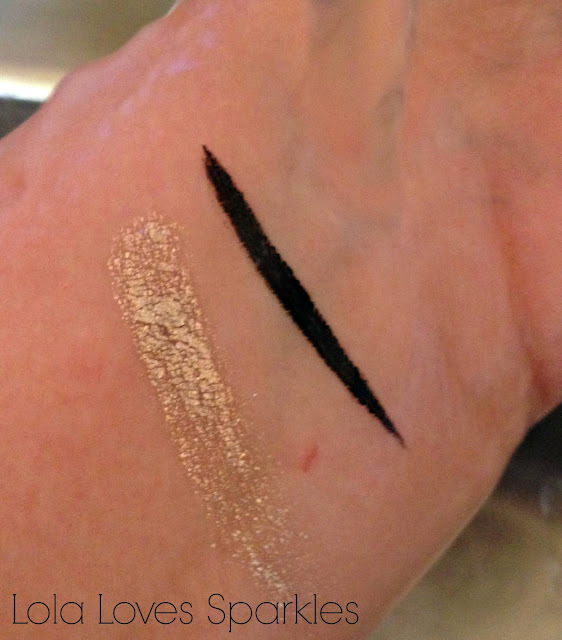 The second compartment is filled with a super golden cream eyeshadow, which when applied thinly, can be used as a base eyeshadow [or on its own]. 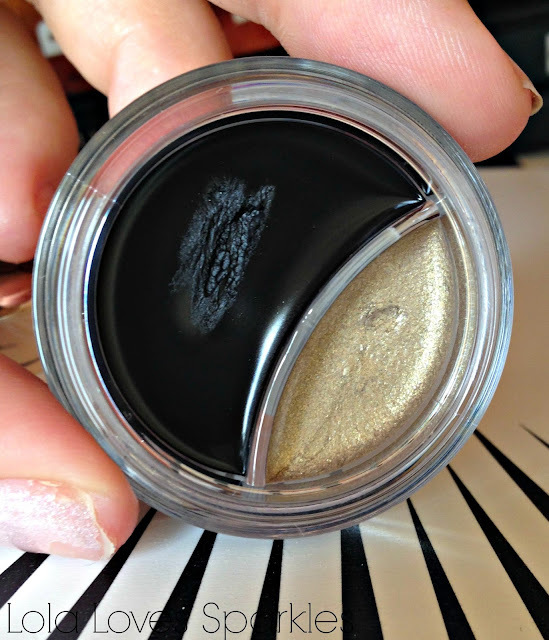 However, I like to use this on my inner eye corners for a pop of shine. 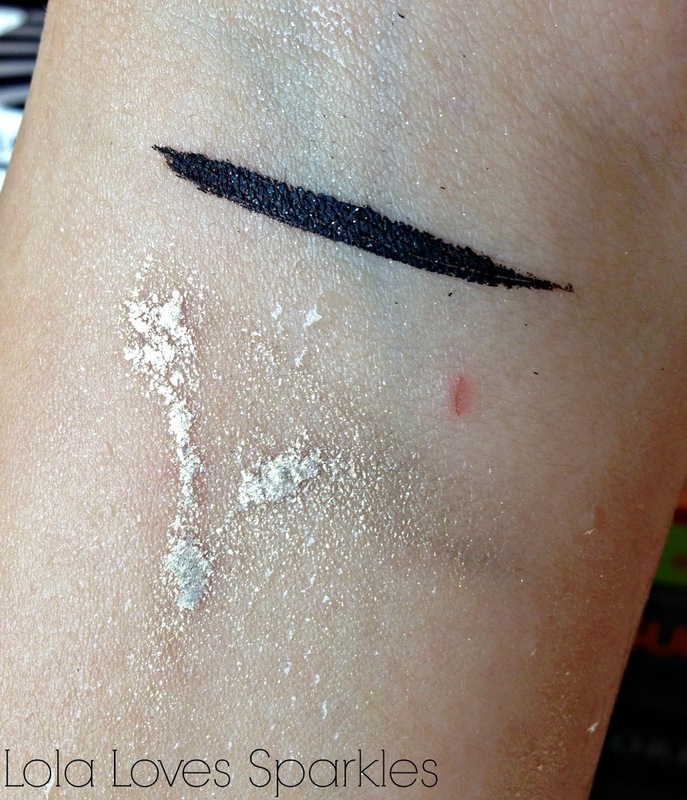 This also starts to fade after more than a couple of hours [however, not as rub proof as the black liner]. Impressive. Really liking this Missha Gel Liner so far, and really tempted to get more shades!